In the 2000s, copper exports expanded in quantity and value, but income tax collected by Zambia’s revenue authority remained low. The revenue authority identified the discounted sale of minerals to affiliated companies abroad as a key factor behind this revenue loss. In 2008, the Ministry of Finance introduced a rule requiring mining companies to use publicly quoted benchmark prices as the basis for determining the transfer price of related party mineral sales. 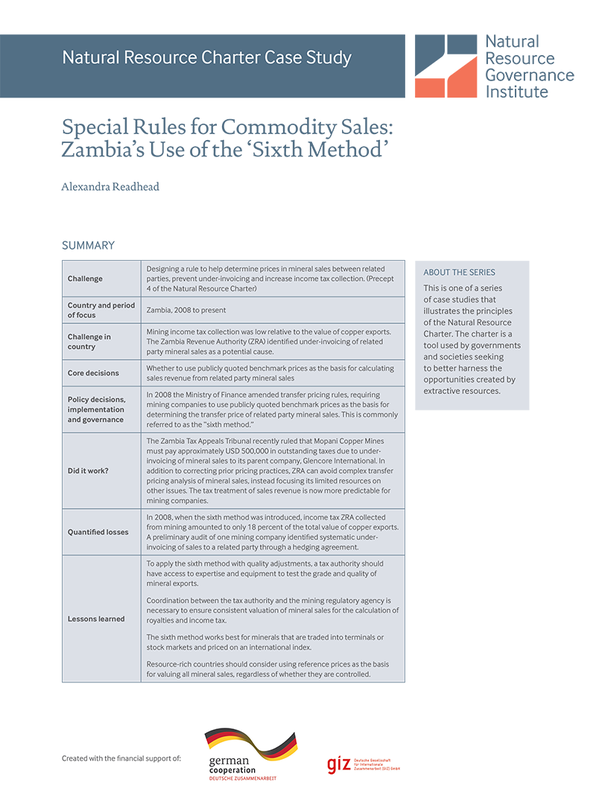 This case study analyzes how this rule, commonly referred to as the “sixth method,” was implemented in Zambia, the response from mining companies and whether the tax administration considers it a useful instrument.